Research in Motion’s Blackberry line has been the business phone of choice ever since. Things started to change however when the iPhone came out and that time, people were torn between the two fruits, Apple or Blackberry. Some did an Eve and took the Apple and the others held out a bit longer in case Blackberry would release an iPhone killer. Now that time is over. 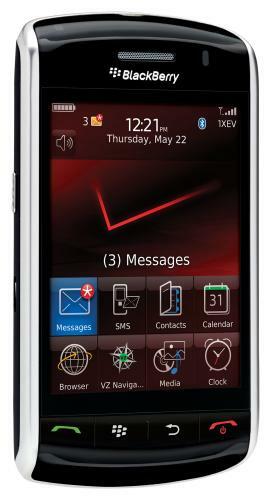 The Blackberry Storm hit shelves of Verizon stores in the US last Friday. More than 200 people had waited at a Verizon store in mid-town Manhattan early in the morning, many of whom were turned away after it ran out of the new phones less than an hour after opening at 8 a.m. The angry customers caused a ruckus and police came to restore order. There were also a lot of pre-orders that weren’t delivered due to the massive number of people to buy the Blackberry Storm over the counter. Anthony Lewis, who was at a Verizon store near New York’s Bryant Park, at first tried to get the Storm at electronics stores nearby. But he was disappointed, despite putting his name on a list ahead of the Friday debut. "I had two pre-orders at Best Buy and Circuit City. Now I’m here and I’m hearing it’s sold out," said Lewis, 28, of Brooklyn, New York. "I guess 8 a.m. in the morning is too late." This is all good news for Research in Motion. They have been seeing dips in their earnings ever since the iPhone was released. Add the economic slow down sweeping the US and RIM was looking at a grim Christmas. The Blackberry Storm changes all that. Indeed that phone is a proper iPhone competitor. It’s also touchscreen and packed with all the Blackberry features a lot of smartphone users are already used to. "We’ve heard nothing but good things about it. It’s a small bright spot in a really bleak world.," said Charter Equity Research analyst Ed Snyder referring to the Storm. He said that he had even "heard from some competitors who thought it was pretty impressive."